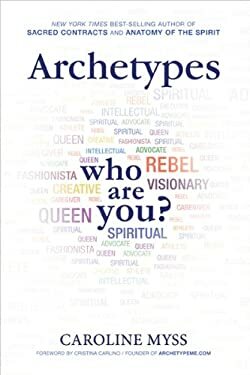 "Archetypes, " the latest work from "New York Times "best-selling author Caroline Myss, offers readers an engaging and illuminating way to better understand themselves and those closest to them.Whether we're aware of it or not, each of us identifies with certain universal myths and symbols, otherwise known as "archetypes." As Myss explains, there are ten primary archetypes: caregiver, artist, fashionista, intellectual, rebel, queen executive, advocate, visionary, athlete, and mystic. She helps us to determine which archetypes best define us as individuals, laying out each archetype's unique path, hidden strengths, and potential weaknesses. Identifying our personal archetypes will give us the knowledge necessary to consciously define and live an authentic life. Myss also includes suggestions for embracing one's archetype to the fullest, providing tools for avoiding common pitfalls and daily practices for enhancing the positive qualities of each archetype. Plus there's a glossary covering more than 20 sub-archetypes.Much like highly popular books on the enneagram, Meyers & Briggs, and astrology, which also allow people to type themselves, "Archetypes" is destined to become a classic. Its publication is set to coincide with the launch of a major new social media and information site, Archetypes Inc.